“I couldn’t see the wood for the trees”, words from one of my amazing clients about how she felt before the StrongHer Revolution. She’s a mum of 4, she was very stressed, worried and anxious and often seeing the worst and reacting to her children. That’s all changed for her now, as she’s slowed her pace and can see her life for all that she has rather than what she doesn’t. 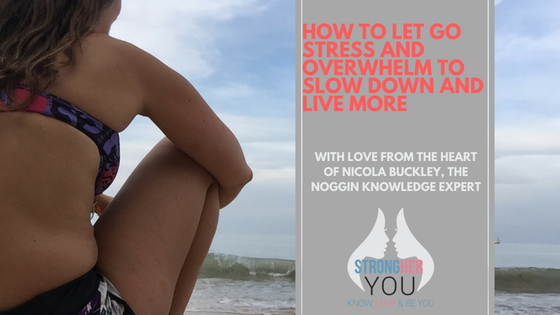 And she has lots of hacks and tips for managing the times when she feels overwhelmed and stressed, with 4 children and a full-time job who wouldn’t! 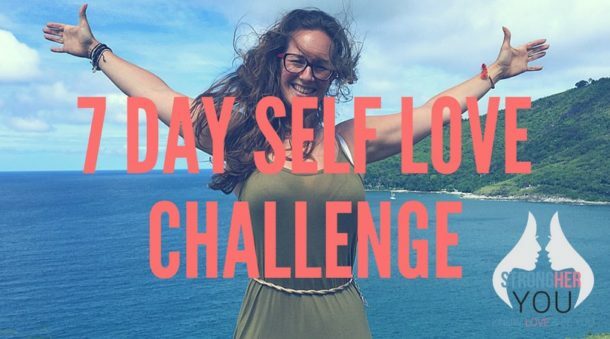 I speak to so many women who feel completely overwhelmed. They’re exhausted. Constantly rushing through life, yet never feeling that they’re ENOUGH. So they get stuck in DOING mode, at the expense of slowing down and BEING. And this leads to a life of obligated yes’s and should rather than the feck yes full of passion and fulfilment they deserve. The eating habits that you feel embarresed about and there’s NEVER any time for YOU. Snapping at those you love, not about them it’s how you already feel. Well I’m here to tell you, there’s an epidemic of overwhelm happening to many women just like you. Overwhelm is an old friend of me, who can still visit me now during busy times. It gets me caught up in measuring my days based on the ticks on the to do list and what I get done. ^^^ See yes it still happens to me and I’m a coach, I’ve simply created tools to help manage it more. Yet I can see now that it’s down to my own making, not saying it’s my fault but it is my responsibility. I’m a woman on a mission and incredibly passionate about what I do, I know that it is what I was put here on this planet to do so there’s this fire inside me that burns bright. And knowing how many women need my help, makes me even more determined to get my message out there and set up my business to help more and more women slow down and live more. But I now know why overwhelm is coming up and what it’s guiding me too, truthfully it’s about slowing down and it’s like my speedometer for going too fast. The amazing thing about overwhelm like so many things that women struggle with, is that it’s down to a brain mechanism. So that knowing and understanding means you can STOP blaming yourself for being lazy, weak or stupid and instead start to find a way to let go of it. Overwhelm occurs when the brain doesn’t have the certainty that it LOVEs. The brains only true job is keeping you safe and wake up tomorrow morning. So it sees certainty as the only way to ensure that safety. ^^^ Oh and the brain isn’t bothered that you’re “happy” as such, it wants certainty over ANYTHING. When you’re overwhelmed you go back into your most primal brain, your animal brain and your sympathetic nervous system which means your cortisol is high, heart rate high and muscles on edge ready to go. Lack of clarity – Not being clear on your intent, your goals and how you want to feel? Pace of change – Is it too fast? Too slow? Or too much on? And that’s the work I do with my clients to create that framework of clarity and change at a feel-good pace. So now we’ve understood overwhelm and what it means, next up how to let go of it … without creating anymore .. well overwhelm. DO NOT KEEP GOING, the biggest mistake we make it to keep doing and I used to “work” my way out of overwhelm. It NEVER worked, I’d always feel more stressed. So take time to stop and hit pause even for a cuppa or a walk. I know you’re worried about your many plates dropping BUT that’ll happen anyway if you keep on. 3) Does it Feel GOOD? Does the road your own feel good? If it doesn’t it’s likely to be led by your head and not your heart. To live a happy and fulfilled life, there’s a forever balancing act between the two. Take time to empty your head of all that is going on, your brain is likely to be how many of use your our technology with too many tabs open at once. Get a blank sheet of paper and write down ALL that is on your mind, doesn’t need to make sense or order it’s to process all that is there. Think about your future, when you have your BIG long list of things to do anything that isn’t for now write a note and leave it. I have a focus on the now, but a list for future months for my house and business so these are not then on my mind. So the biggest thing I can invite you to do, is to slow the feck down YES life is now but it should be living on purpose and with passion. Not with haste and pressure.